Glo is back with yet another unfair advantage offer that would interest each and every one of us here. 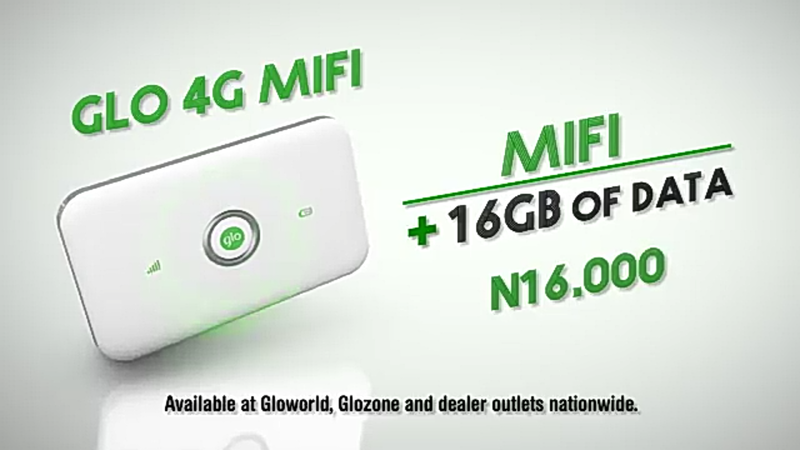 Glo is offering its 4G Mifi for just N16,000 plus 16GB worth of data. This is a great offer if you ask me. According to Glo, they said the 4G MiFi is as good as being given out free of charge, considering the worth of the free data bundle. With the Mifi, you'll enjoy full 4G speed at its peak. You can share the 4G Mifi connection with up to 15 people, be it Android, iOS, Laptop, iPad, tablets etc all at a go. You will get the 16GB and it will be spread over 12 months”. 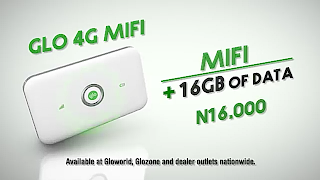 A further advantage of the Glo 4G MiFi is the power of Glo’s 4G network which comes with high speed internet service backed up by Glo1, the company’s transatlantic submarine cable. If Glo 3G speed is not good in your location, I am sure the 4G LTE speed will. You can walk into any Glo office near you to get one for yourself. Better to wait for the official release. That's really a generous offer but only for a select few, they need to be more generous with a stable network.